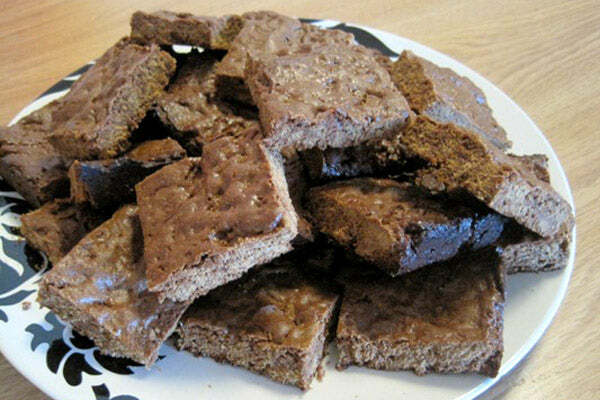 When I was growing up, my mother had a stand-by baked good recipe that took less than an hour to prepare but always received rave reviews—graham cracker brownies. 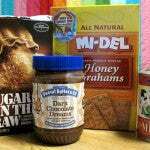 While her recipe is delicious, it features processed graham crackers, sugar-laden condensed milk, and chocolate chips. 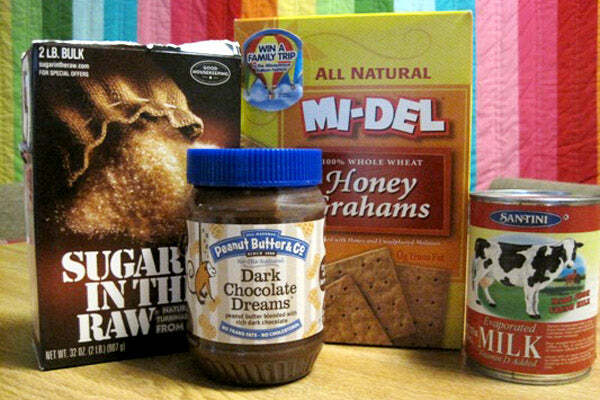 I set out to re-create this dessert with slightly healthier ingredients, substituting whole grain graham crackers, evaporated skim milk with a moderate amount of sugar, and nutrient-packed peanut butter. 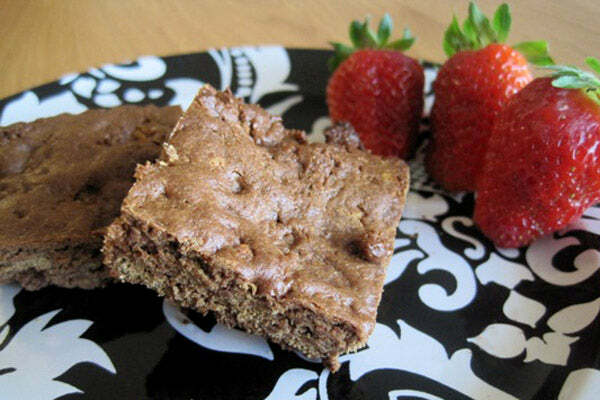 The result is a dessert with a cookie-like texture, sure to please anyone with a sweet tooth. 2. 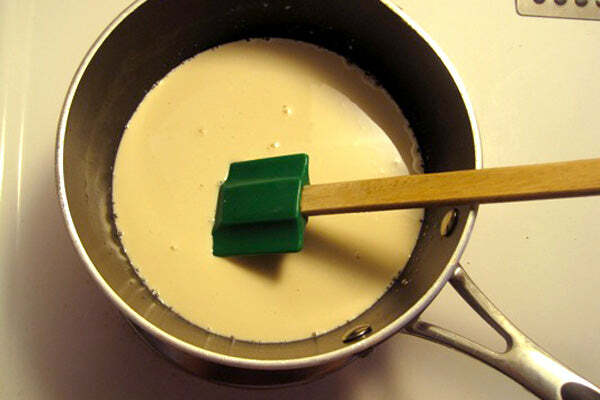 Pour evaporated milk into a medium saucepan, and add sugar. 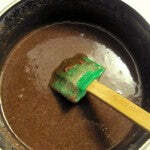 Stir well, and cook over medium heat until sugar is dissolved and bubbling. 3. 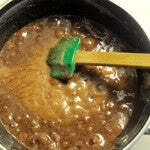 Add peanut butter to sauce pan, stir well, and cook over medium heat until peanut butter is well-incorporated and bubbling. 4. Allow the mixture to cool. 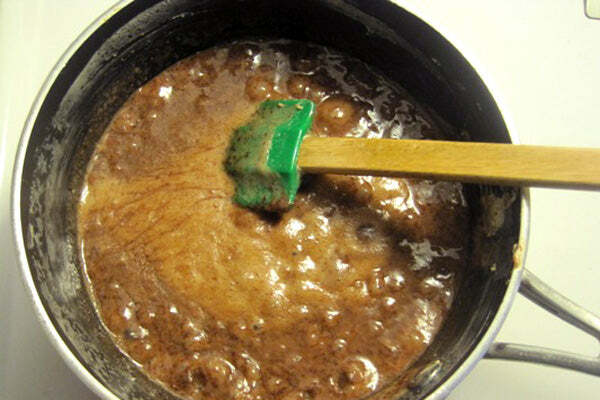 The consistency should be similar to that of a brownie batter. 5. 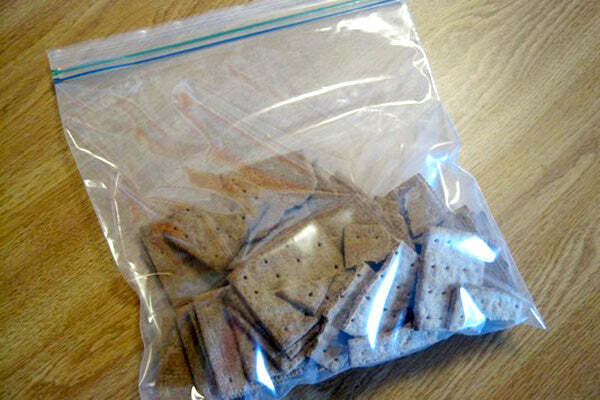 While the peanut butter mixture cools, place graham crackers in a large zip-top bag. Be sure not to seal the bag all the way so that air may escape. 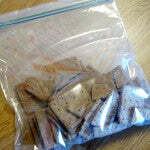 Crush crackers with a rolling pin or drinking glass until all that remains are small crumbs and fine graham powder. 6. 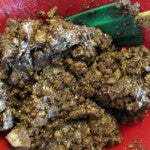 Place graham cracker crumbs in a large mixing bowl, and add the cooled peanut butter mixture 1/4 cup at a time. 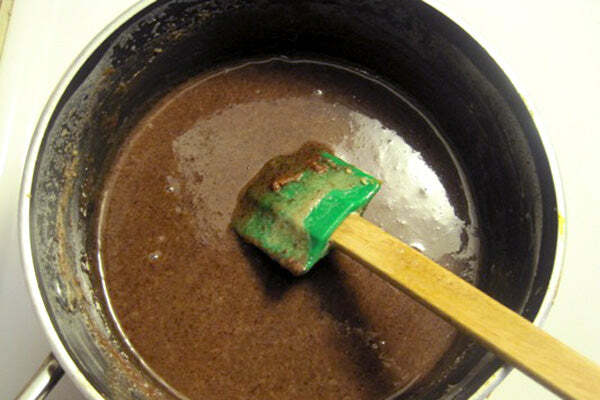 Stir until the mixture reaches a sticky, clay-like consistency; it should be very difficult to stir. There may be some leftover peanut butter mixture. 7. 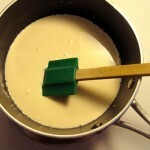 Press mixture into a greased 9X12 baking pan. Bake for 15-20 minutes, or until a toothpick inserted in the middle comes out clean. 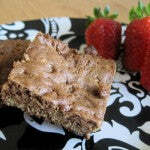 Allow to cool in the pan for 10-12 minutes before cutting into bars and serving. 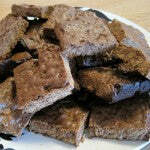 -Traditional graham cracker brownie/cookie recipes call for sweetened condensed milk. Due to the extremely high sugar content of sweetened condensed milk, I have used evaporated milk to which I add a moderate amount of raw sugar. 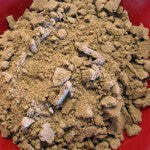 -Whole grain graham crackers are available in most major supermarkets. I like Mi-Del brand. -These cookies tend toward a dry texture, so be sure not to bake them too long to prevent a crumbly mess. 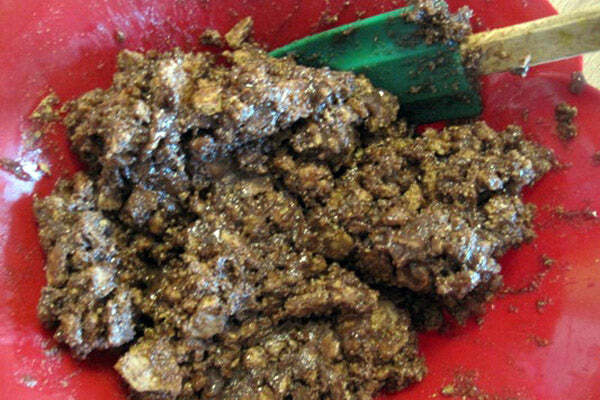 -As indicated above, there may be leftover peanut butter mixture. Save this sweet sauce as a topping for ice cream or a dip for strawberries! -Store in an airtight container or zip-top bag at room temperature to keep them fresh for up to a week. The post Peanut Butter Graham Cookie Bars appeared first on - Peanut Butter & Co. Recipe Blog.